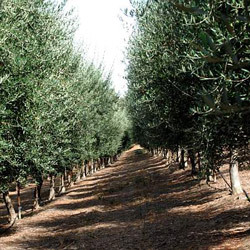 Able to grow in shallow soils and requiring little irrigation, the hardy olive tree may provide a well of hope for drought-stricken California. Compared to Europe, the state’s olive oil industry is green, but it’s rapidly growing, with thousands of acres of trees being planted each year. Still, California olive producers face an uphill battle in the marketplace. About 97 percent of the olive oil consumed in the US comes from Europe, despite reports of low-quality and adulterated imported oils infiltrating grocery stores. An oft-cited UC Davis study from 2010 found that 69 percent of imported olive oils labeled as extra-virgin (EVOO) failed to meet international and USDA standards, compared with only 10 percent of California olive oils. California has taken matters into its own hands to elevate the reputation of domestic olive oil just in time for the fall harvest. Last month, the California Department of Food and Agriculture announced new standards for the state’s olive oil producers, based on recommendations from the industry’s leaders. “If we can assure the customer that California is the real deal, maybe they’ll pick up a California olive oil instead of an imported one,” says fourth-generation producer Jonathan Sciabica of Sciabica & Sons, the oldest olive oil company in California. Worldwide, the European International Olive Council (IOC) has defined quality standards for olive oil production, but regulation has been loose. Several years ago, the USDA set forth voluntary certification for US producers, using the IOC’s model. The new California standards break ground by requiring purity testing for producers that handle upwards of 5,000 gallons, as well as defining grades of olive oil, setting requirements for labeling, packaging, and traceability, and prohibiting misleading terms like “light” and “pure,” which usually designate products that include refined oils. “It’s a step in the right direction to create clearer standards and labeling among California producers,” says Maia Hirschbein, who oversees education programs at California Olive Ranch, one of the most vocal advocates for the new standards. She feels that the legislation made strides by requiring labeling for harvest dates and geographic origin to better communicate freshness and seasonality. When Sebastian Bariani of Bariani Olive Oil emigrated from Italy and began producing olive oil in the outskirts of Sacramento in the early 1990s, he was disappointed by lack of standards and regulation in the US. 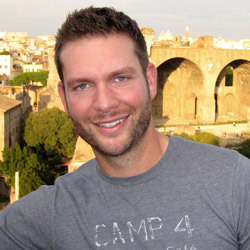 He voluntarily began using the IOC as his guide, sending his olive oil to European labs for testing. He is concerned that the new labeling requirements may contribute to consumer confusion, since international and small California producers, who don’t have to comply with the standards, can continue to use befuddling terminology like “extra light” and “super virgin,” while larger California producers cannot. In addition, according to Bariani, the chemical parameters outlined in the California standards are not as rigorous as the IOC’s, particularly with regard to fatty acids and sterols. “It may hurt our exports because other countries are going to know that the standards here are less strict,” he notes. Jonathan Sciabica sees the deviations from IOC as necessary to account for differences in soil, climate, and elevation, which produce a distinct fatty acid profile in California-grown olives. “In some ways, it feels as though we have been excluded from the IOC standards,” says Sciabica, noting that Australia also created its own standards based on its own geography. The Olive Oil Commission of California, the industry group that advised the CDFA in creating the standards, wanted to err on the side of inclusion for the state’s growers. As more California olive oils get tested, the state’s database can help inform future standards. “A good thing that should come out of all this testing is we’ll know what purity ranges California olive oils fit in, and over time the standard can be adapted and narrowed,” Sciabica points out. “We believe the time has come to designate a ‘California-grown’ olive oil, and these standards are an excellent way to do it,” CDFA Secretary Karen Ross stated in a press release. However, the CDFA cannot use their funds toward marketing, which means California olive oil producers will need to boost their efforts to build trust among consumers. While farmers market shoppers may be able to taste and appreciate the quality of locally grown EVOO, the key will be getting grocery store shoppers to understand the difference and reach for California olive oils instead of their cheaper—and potentially counterfeit, diluted, or rancid—counterparts made thousands of miles away. 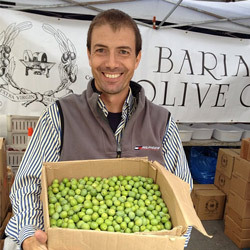 Look for Bariani Olive Oil and Sciabica & Sons on Saturdays at the Ferry Plaza Farmers Market. Learn more about olive oils with Maia Hirschbein next Tuesday, October 21, at our California Olive Oil Tasting Class. Olive orchard photo by Barry Jan. Jonathan Sciabica photo courtesy of Jonathan Sciabica.